To date, we have hit the half-way mark of $500,000 toward our $1 Million goal! We couldn’t have done it without you! Thank you! Donations go into the Norfolk Arts Center’s endowment fund to ensure the arts continue to grow for generations to come! To donate, please contact Denice Hansen, Executive Director. The vision, values, and mission of the Norfolk Arts Center are unique as we are the sole organization in the area dedicated to enhancing community life by presenting and supporting the arts in all forms. 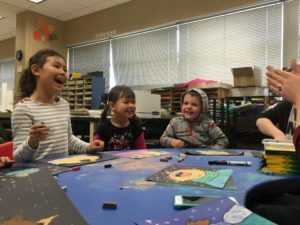 Though numerous studies provide evidence for the importance of the arts in childhood development, the time spent on arts education in area school systems continues to be minimal as the need for creative thinkers and innovation in the workplace continues to grow. Unfortunately, schools are only able to offer limited art education opportunities for their students. 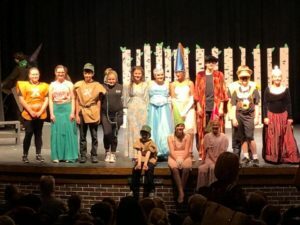 The Norfolk Arts Center’s staff regularly works with area schools to bring artists of all types into classrooms and onto the stage for student education and enjoyment. 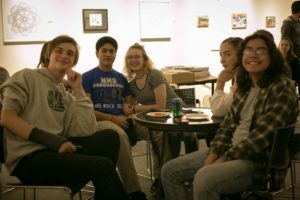 The Norfolk Arts Center brings artists and performers directly into these schools through artist engagements and artist workshops so students have the opportunity to expand their artistic vocabulary and experience art through an additional set of professionally trained eyes and hands. For the last 40 years, the Norfolk Arts Center has championed its mission of “bringing people and the arts together,” growing from a group of visionary arts lovers to the established organization it is today. The Norfolk Arts Center is a vital non-profit member of our community striving to offer a variety of artistic experiences that would be unavailable in the area if not for our efforts. 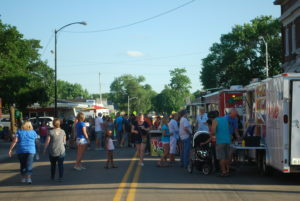 By consistently offering unique opportunities we are helping establish an engaged citizenry that is invested in their arts community; NAC’s school-day performances, free open art night at First Friday and downtown concert and creativity celebration ‘Fork Fest exemplify this work. Recent discussion around budget cuts to the National Endowment for the Arts held by the House Rules Committee has the potential to cascade into additional reductions in financial support to local art organizations like ours. The NEA funds the state agency, which funds local organizations like the Arts Center. Our Basic Support Grant from the Nebraska Arts Council was decreased in 2016, and further cuts on the state and national level will eventually lead to greater loss locally. A 2017 study by the National Endowment for the Arts found that rural communities with arts organizations drew more outside visitors, encouraged more community engagement, had greater population growth, and had residents with higher education and incomes. Growing the endowment fund will allow the Norfolk Arts Center to provide more events, classes and exhibits, making Norfolk a better place to live and work. Arts travelers are ideal tourists, staying longer and spending more to seek out authentic cultural experiences. Arts destinations grow the economy by attracting foreign visitor spending. By strengthening the endowment the Norfolk Arts Center will be able to grow impactful community events like Soup ‘R Art, ‘Fork Fest and the Riverpoint Arts Festival which appeal to over 2,500 people each year and make Norfolk an attraction to outside visitors. The Norfolk Arts Center currently offers several free events each month. First Friday is an all ages open-mic night at the Norfolk Arts Center where musicians, poets and artists of all backgrounds have an opportunity to perform and share their talent. This event has acted as an incubator for emerging performers looking to take their first steps on stage while surrounded by a supportive community. The Norfolk Arts Center building itself, remains free and open to the public and hosts nine fine-art exhibits each year. A larger endowment can provide the means to increase the scope of events that are free and open to the public. Students engaged in the arts have higher GPA’s and standardized test scores, and lower drop-out rates. In addition, schools and employers rank a degree in the arts among the most significant indicator of a job candidate’s creativity and innovation skills. A study featured by Americans For The Arts shared 72% of employers say creativity is of primary concern when they’re hiring, yet 85% of these employers can’t find the creative applicants they seek. Continuing to expand the NAC’s programming in area schools would combat this issue. 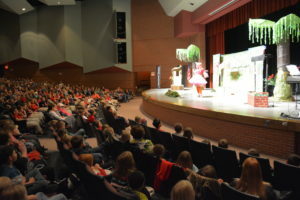 The NAC facilitates a variety of events for children each year, including year-round classes for all ages, theater camps and performances and several festivals featuring kid-centric activities. 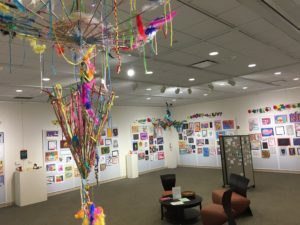 Often these events operate at a loss, but connecting Norfolk youth with the arts is a key mission of the Norfolk Arts Center and a larger endowment can help provide even more activities like these. 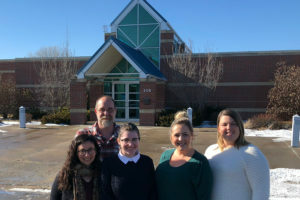 The Norfolk Arts Center employs a team of passionate and hard-working staff members that are the engine for the organization. Staff pay is the single greatest expense to the organization, but the Norfolk Arts Center is currently unable to offer any benefits to its staff, including health insurance or retirement. Having the funding to keep staff salaries at a competitive level and potentially offer benefits in the future, can only be accomplished with a larger endowment. Like with any organization, retaining good employees is critical for long-term success. The Norfolk Arts Center building, the crown jewel of the arts in Norfolk, is now over 18 years old and the time will come for expensive maintenance. Several members of the Norfolk Arts Center board have completed a five year plan for the maintenance of the building, including the original heating and air conditioning system, which is yet unfunded. A larger endowment can provide funding for the necessary care of our wonderful home. You are an important part of our future!